There is stuff happening at the Teerenpeli basement once again and this time we will be celebrating the 7 year journey of Teerenpeli Tease! So come and spend an evening of fun with a bunch of friends, you are always welcome at Teerenpeli! 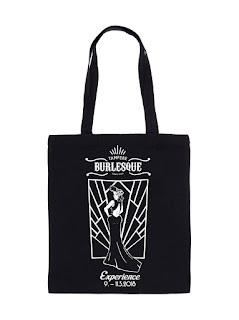 You can also purchase tickets for 13€ with a Teerenpeli key chain or with Tampere Burlesque member card. You can buy your own key chain from Teerenpeli bar for 5€ and get many other offers with it too! Next Tease date is 24th of August, rest of 2019 dates will be announced soon! 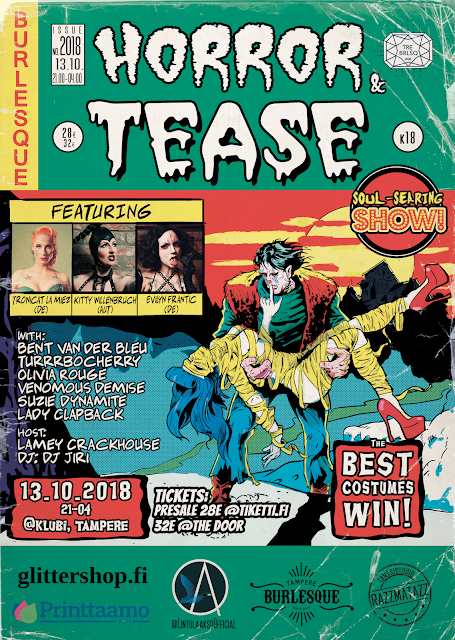 Remember to follow Teerenpeli Tease and Tampere Burlesque pages here in facebook to get all the necessary info about what's going on and when in our area! There is stuff happening at the Teerenpeli basement once again and this time nobody knows what is going to happen since it is time to improvise! So come and spend an evening of fun with a bunch of friends, you are always welcome at Teerenpeli! Performers will be announced soon! Horror & Tease Show:ta on järjestetty jo vuodesta 2011 lähtien eri tapahtumapaikoilla, parina aiempana vuonna oli jälleen päräyttävät bileet Tampereen Klubilla ja tänä vuonna tietenkin uudestaan! Ilta on siis täynnä burleskia, dragia, sideshowta ja vaikka mitä halloween-meiningeissä. Lavalla nähdään toinen toistaan karmaisempia numeroita räväkällä asenteella. Liput ennakkoon Tiketistä: 28€, ovelta 32€. Tapahtumassa palkitaan ruhtinaallisesti myös parhaat ja kamalimmat asut! 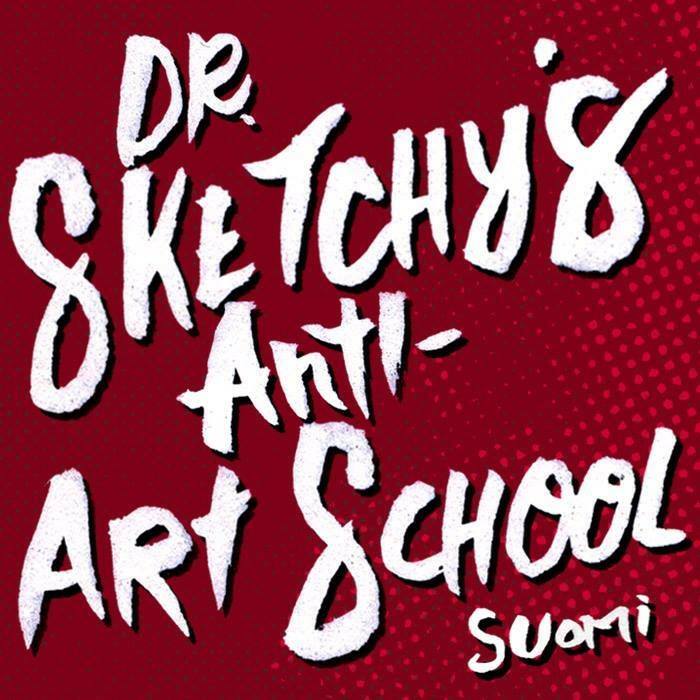 Kannattaa siis panostaa ulkomuotoon. The craziest Halloween party in Tampere! 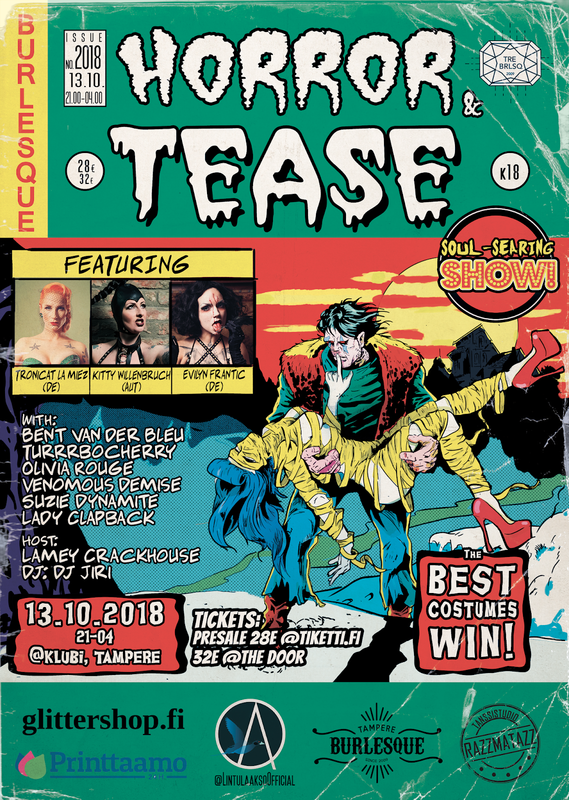 Horror & Tease show has been running since 2011 in various venues and for a few years now this extravaganza has been held at Klubi and this year will be no different! The evening is filled with burlesque, drag, sideshow and cabaret acts in halloween spirit. You will see some true horror in the form of teasing in these acts! Make sure you will dress to impress or to shock us since the best costumes will be awarded! 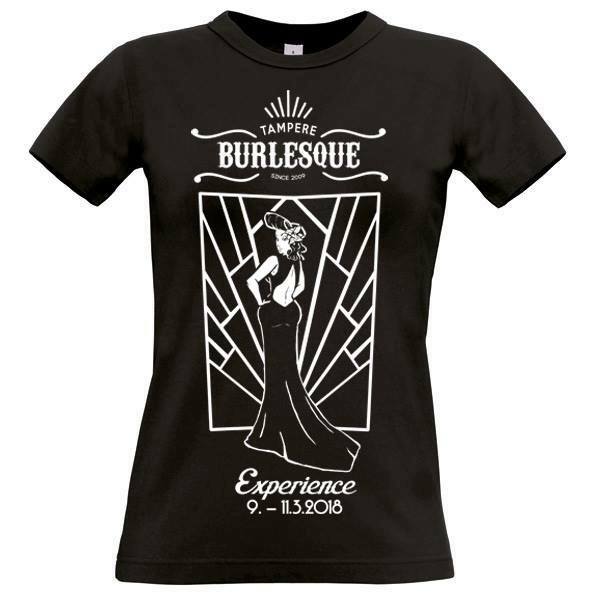 TAMPERE BURLESQUE EXPERIENCE MERCHANDISE PREORDER! 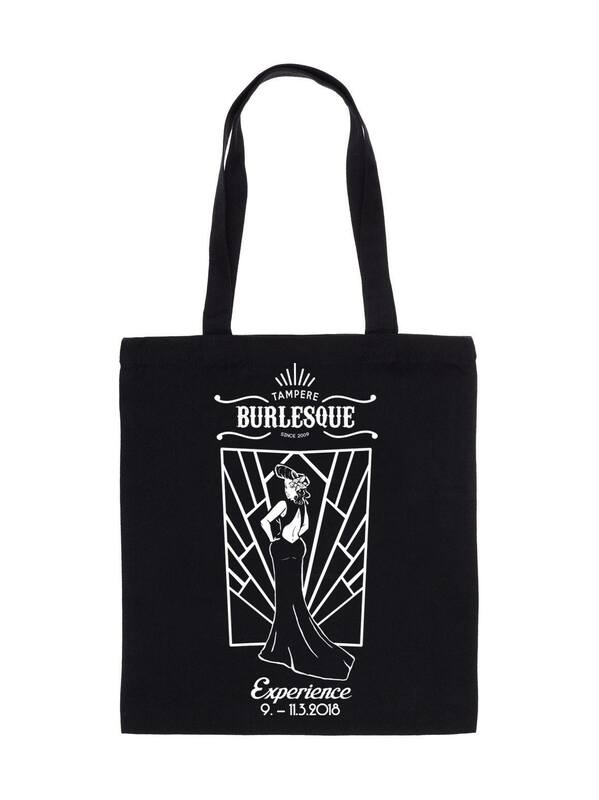 Wohoo soon we will have a whole weekend full of partying and burlesque in Tampere Burlesque Experience and now you have a great chance to get a shirt or tote bag (or both) as a souvenier from the Experience! We will order a very limited quantity of the items for the event so to make sure to get yours we recommend placing a preorder! 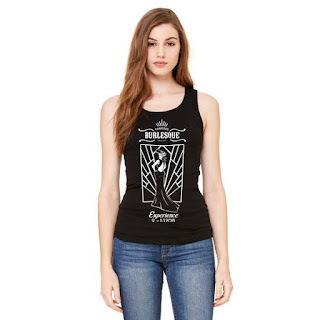 Items available are both unisex and lady fit t-shirts, lady fit tops and tote bags. The amazing print is by Riku Rantala and the items are produced in collaboration with Juunappa. Quantity of the items sold at the event is very limited and therefore we recommend you to preorder the items you want. Bump, grind & improvise workshop with Havana Hurricane! Lovely Havana Hurricane will arrive to Tampere for the first time to perform at Teerenpeli Tease - Power! event and will also teach her super popular workshop on the same day. Description: During this 90 minute workshop Havana Hurricane will teach confidence, poise, stage craft, movement and how to find your inner bump ‘n’ grind temptress and let them loose. Participants will learn how to put their own spin on bump ‘n’ grind, and how to own the stage! Performers will need to bring: Water, heels, clothing to move about easily in. Performer Bio: Havana Hurricane is the shimmy shakin’, earth quakin’ whirlwind guaranteed to blow you away. An international burlesque performer who has graced stages throughout Europe, Australia, Canada and the USA. A true force of nature Havana Hurricane has been continuously voted in 21st Century Burlesque Magazine’s ‘Top 50 Burlesque Industry Figures’ and the ‘Top 10 UK Burlesque Performers’ lists. With a vivacious take on good ol’ fashioned bump ‘n’ grind Havana Hurricane is one of the UK’s most established and in demand artists. Workshops are held, if there are at least 6 participants, maximum capasity 15 participants. 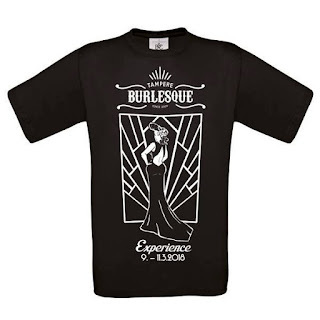 Sign up by email tampereburlesque at gmail.com, mention HAVANA HURRICANE as the topic of your message. Hox! Sign up is OBLIGATORY and can be cancelled only for force majeure. In case of illness the written acknolegment by nurse is required for refund. Alternatively you can also sell your place at the workshop for someone else, if you cannot make it yourself. Any questions? 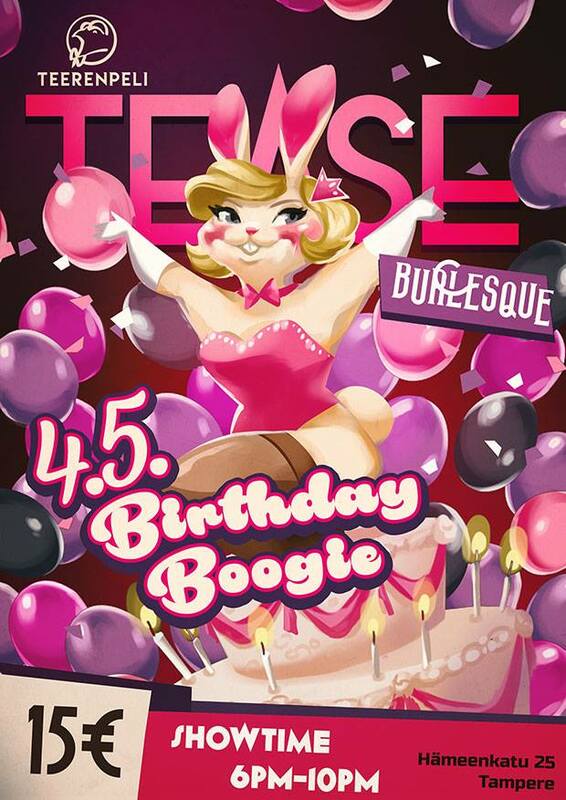 Email us to tampereburlesque at gmail.com. 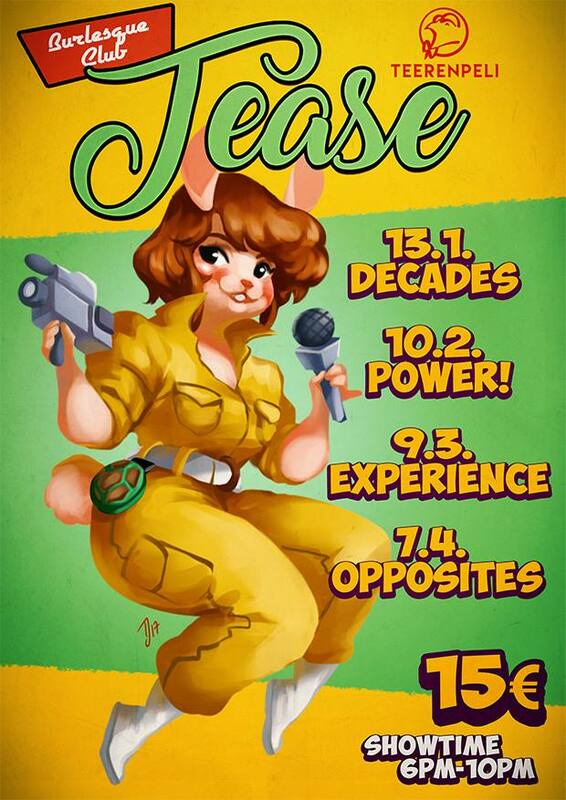 Lovely Fräulein Frauke is coming to Tampere to perform at the Teerenpeli Tease - Decades event and earlier on the same day she's hosting TWO workshops! You can participate in just one of the workshops or both of them, if you participate in both then you will pay only 45€ in total! acclaimed burlesque, cabaret and jazz club Fräulein Frauke Presents, that also tours in different capacities, as well as the International Stockholm Burlesque Festival. Married to, and partner with, top burlesque photographer John-Paul Bichard, there will also be talk about how to best use promotion tools and how communication works best, ownership of photos, copyrights etc. Bring paper and pens and all your questions! 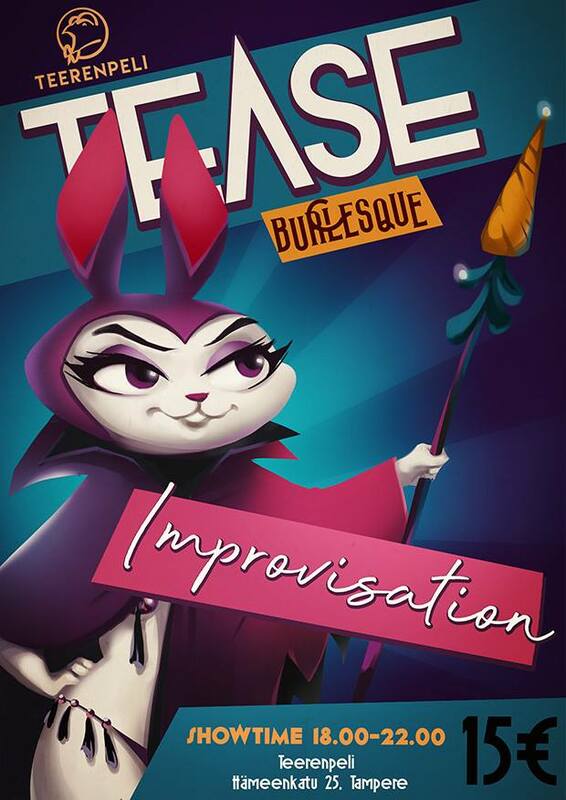 Come learn the tricks and trades of the beautiful artform “burlesque” by international burlesque star Fräulein Frauke! This class is an introduction to burlesque entertainment and is angled at newer performers and people curious about burlesque. We will talk about what burlesque is, how to build an act, how to connect with the audience, burlesque characters and of course- learn some burlesque movements and the principles of stripping! 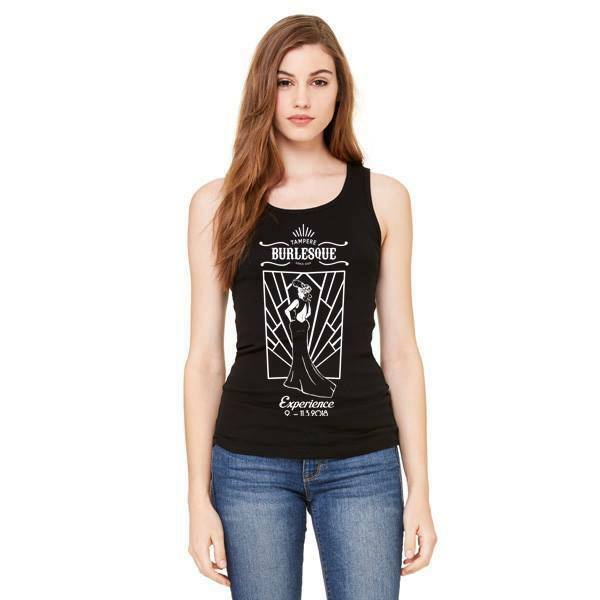 Together we will build a personal classic little burlesque act using character, classic moves and act building. Sign up by email tampereburlesque at gmail.com, mention FRÄULEIN FRAUKE as the topic of your message. Hox! Sign up is OBLIGATORY and can be cancelled only for force majeure. In case of illness the written acknolegment by nurse is required for refund. Alternatively you can also sell your place at the workshop for someone else, if you cannot make it yourself. SPRING 2018 TEERENPELI TEASE DATES AND THEMES!